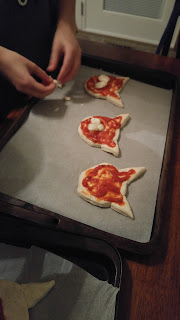 One Momma Saving Money: Cat Pizzas #Recipe!!! 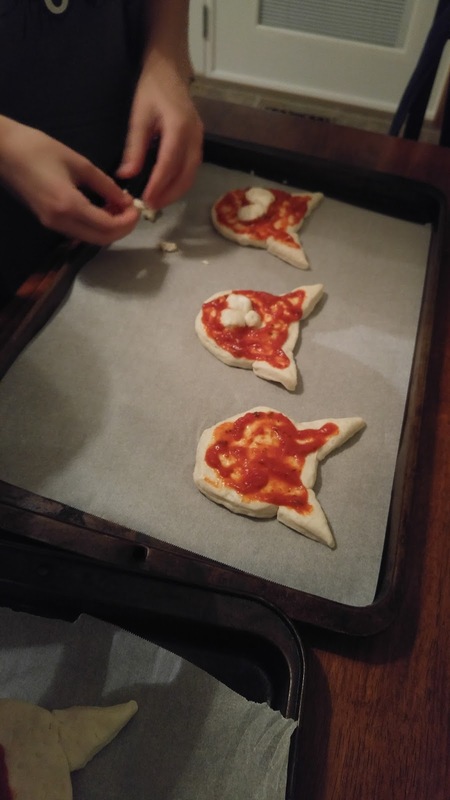 Cat shaped mini pizza is a sure hit with the kids! Fun and easy to make as a family! One can of biscuits will make 6 adorable cats. 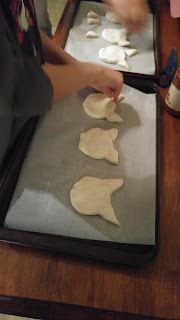 Place the biscuits on a parchment lined cookie sheet a few inches apart. The other two biscuits were used to cut out triangles to use for the cats ears. To attach the ears press them into the circles. Use some of the left over ear dough to roll into balls to make cheeks and noses! Cut the large pepperoni slices into triangles for the ears and also into strips for the whiskers. Place the sauce onto the pizza, then top with the cheese. Then add the cut pepperoni to the ears and the whiskers. 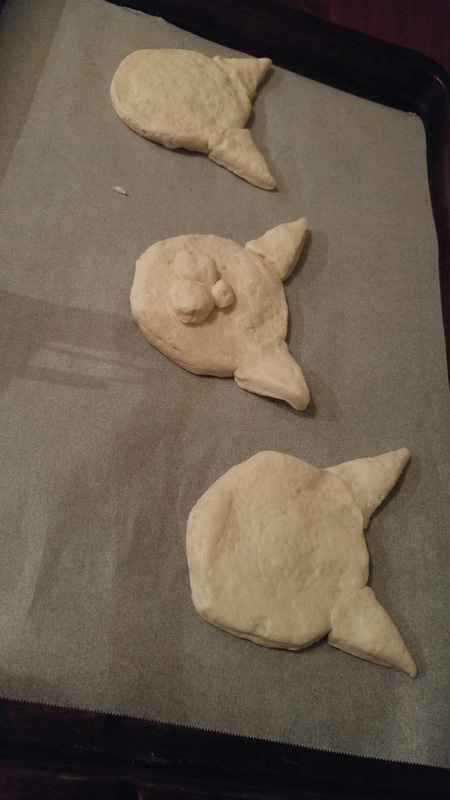 Using the mini pepperoni make the eyes and the noses.